Our clients run the gamut from Fortune 50 companies to small and medium sized businesses, remote enterprise branch offices, managed service providers and education/public sector clients. Pros: KEMP have a partnership with Microsoft in order to load balance Exchange which was a great plus for us while selecting the right product since we wanted mainly to loadbalance Exchange for the Outlook client in order to minimize interruptions during maintenance windows or simply to balance connections. The great thing is also that the virtual appliance allows you to load balance your application but without the need of adding hardware to your datacenter. this is a great approach and the technology has proven to work as expected without issues. Cons: There is a well written administration guide which needs to read extensively before setting up services. This is not a product where complexity is taking away from the administrator. Lots of options, sometimes a matter of try and retry before all works. UI could be improved. Overall: We improved outlook performance and stability for the end users, during daily business but also reduce service interruptions during maintenance windows. The load master is built as a virtual appliance and we set it up in a cluster, so that it is fully redundant. We are looking into using it also to balance other applications, which Kemp can do as well. Pros: The software is quite easy to setup and configure, thanks to the large number of available templates to download. For more complex situations, Kemp Support Team is there and they're really fast and good at what they do. The free version runs almost all the features of the product and it can be used permanently in a test environment or even in production if there is no need for a large bandwidth. 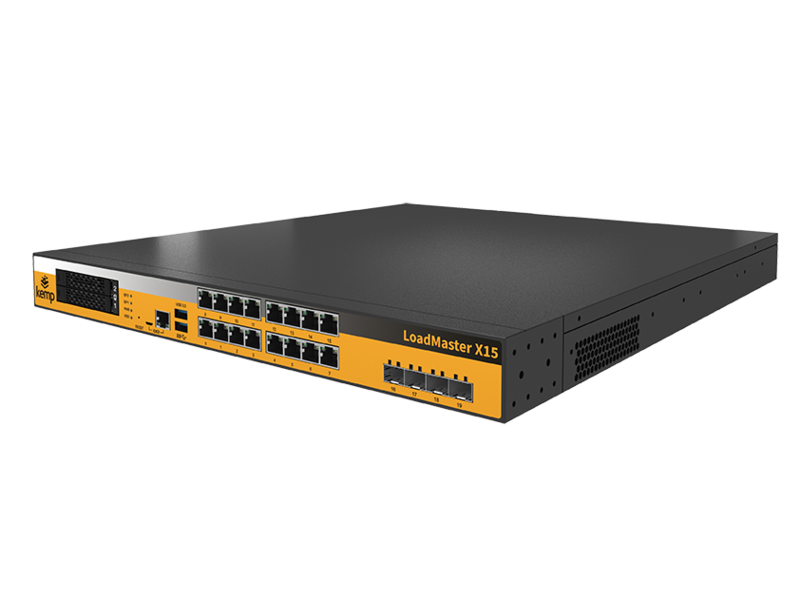 It's also possible to have several interfaces in different networks, so one box can be used in different network segments, keeping the traffic isolated. Working with the LoadMaster is pretty much set it and forget it: once configured, it just runs with no problems. Cons: It doesn't run well in Hyper-V or at least it didn't when I bought it last year. I really don't like the way logs are presented in the software. A lot of the information in the logs is only meaningful to Kemp Support Team. Overall: I started using the LoadMaster to replace a Microsoft WAP solution that was publishing Exchange OWA and Lync to the Internet clients. Soon it was replacing other load balancer solutions we were using internally. We also have a lot of network devices using static IP configuration and when we changed our domain controllers, we had to re-configure them all manually, one by one. With LoadMaster, the solution was as simple as creating new virtual DNS services pointing to the new DCs. Pros: The LoadMaster is easy to implement in a resilient virtual environment. The documentation knowledge base online is very helpful even for advanced deployments. But overall I am most impressed with the level of support, I am always speaking to a knowledgeable engineer who knows how to resolve any issues I encounter. And even if they don't they will continue working with me until we reach a solution together. Cons: The web UI can be slightly clunky, sometimes you have to manually refresh and even reboot the device specifically when using HA. But if you stick to Chrome the experience it's generally a lot better than other browsers. Overall: My overall experience has been excellent, our company has been able to move away from Microsoft NLB pretty seamlessly and the support engineers have worked with us to help implement our solution which is less than basic. A functional yet affordable product and also great staff. Pros: We started using Kemp Load Balancers in our VMWare environment. Initially for a specific use cae, we have now expanded to use them for load balancing for all systems requiring load Balancing. With addition of cloud services, we will use Kemp there too as this will maintain a consistent experience across platforms. Cons: No 'Save Changes' button. It's too easy to make a change and click 'back' without the intention of actually saving the change. This means that if an admin was reviewing a setup and inadvertently changed a setting, when they click back, the change is implemented even though that may not have been their intention. Providing a 'save' prompt would prevent this. 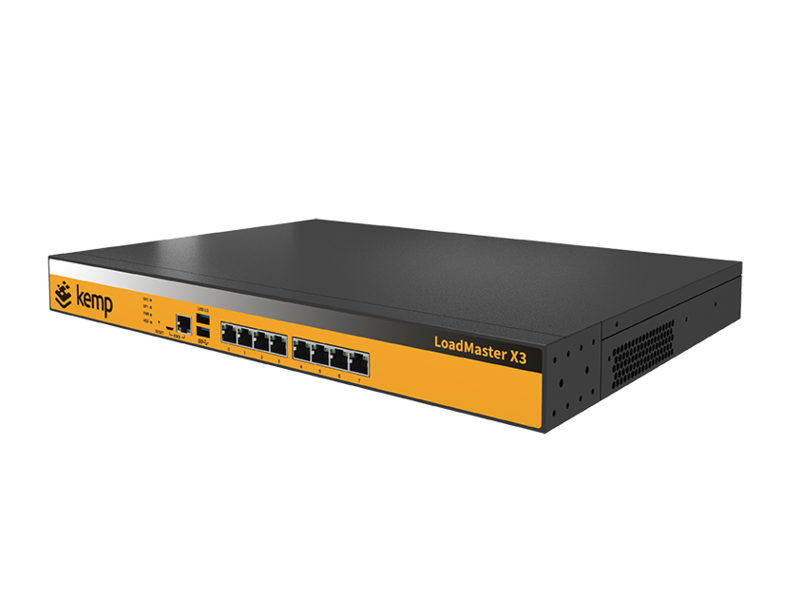 Pros: The LoadMaster is easy to setup, it is almost impossible to make a mistake. And when we have questions we usually get a response within a couple of hours. Very good support. Cons: They need to work a bit more on the user interface when you have many SSL certificates. The list is unclear, and that bit of the GUI just doesn't work too well. I understand most use cases have only one or two certificates, we have over 30 per virtual host. But they should be able to work on that. Pros: The user interface is very straight forward and does not need any special knowledge to configure. Also it is very flexible and there are a lot of customization you can do to address most of our needs. In addition the support is immediate and to the point so I consider KEMP as very reliable. I have been using KEMP from 2012 and had no issues whatsoever and all services were 99.99999% up. Cons: Transparency to the connection is a bit complex to achieve. It is reliable. We had almost no Trouble with the boxes over years and no complete failture of a box. Enough power for all businesses. Cons: It is not easy to configure. You have to book a Course to learn it. Kemp Schoolings in Germany very rare. Got one over 500km from my Office. Overall: We are using it for Microsoft Exchange, Citrix, RDP and Rule Engines. With it we are realising High Availability and it works perfect! It is easier to use and more costefficient then Citrix NetScaler. Pros: Has web interface and menus are easy to understand, installation is easy enough and products are easily identifiable in the racks. Cons: The upgrade process can be very disruptive and hard to interpret multiple email alerts where it would indicate services are down, but when we check the services are up. Overall: We are able to load balance websites and services at enterprise level and we are able to replace our Microsoft Threat Management Gateway with these appliances. Pros: The LoadMaster software does a great job of exposing the features that you're most likely to use/need. It comes with a bunch of pre-configured templates for the most common use-cases, which can speed your time-to-deployment. Cons: The LoadMaster admin GUI isn't the prettiest of interfaces, but as this is mostly a set-and-forget piece of software, that's not a significant drawback. Pros: Easy to set up , secure, and very affordable. With the Kemp templates., workloads can be deployed in very short amounts of time. Cons: I can't think of any major cons for the Kemp. The only catch would be it would be nice to have integrating with LDAP for Admin users on the box. Overall: Easy of use, used with exchange server farm to provide continuous service even if a server needs to be taken down for maintenance. Great load balancers for the cost. Watch out for potential sudden steep price changes, though. Pros: Very flexible and affordable load balancers. They work great, with very little hands-on maintenance required to keep them running smooth. Cons: Kemp unexpectedly raised the prices on their maintenance plans, and they now cost double what they did a few years ago. This was quite a shock to us since we had not received any sort of warning that their maintenance prices were going to be increased, and they had no flexibility on this price change. We had already budgeted for the maintenance renewal based on a budgetary quote they gave us a few months before the price change, and as a result we had to go severely over budget in order to keep our equipment covered. Overall: Great load balancers for our Microsoft Exchange mail systems at an affordable cost. Overall: Ever since it run in our production, LoadMaster virtual load balancer is serving us really good and without any hustle. The product is stable, easy to setup and maintain, and is doing it's job amazingly well. Thank you Dalibor, we're delighted that LoadMaster is meeting your requirements and that you've had a problem free deployment! Cons: Maybe in the future we can block access to the product by a global location like a specific country and not just by an ip address that updates once a day. Overall: We have been working with the product for several years and very satisfied with it. Pros: There are templates for many usecases, which make the implementation very easy. Cons: I have nothing to complain. All features work as needed. Overall: We use the Loadmaster for loadbalancing our webservers and the exchange domain. Implementation was easy, performance is good. Very positiv are the frequent updates Kemp delivers. Cons: Lacking features. Limited logging options. Support is hit and miss. Lags behind competitors features. Overall: Cost effective load balancing for clustered applications. Pros: Fast and pretty clear interface. Software is stable as well. Cons: Some options need a little more explanation and more options and customization on the alerts would be helpful. Like don't send an alert for specific machines or only if it's down for a certain amount of time. Pros: I can setup it very easily, but it knows very complicated check too. I'm very satisfied the Support Team, they always helped very quickly and helpfully. Cons: I can't tell any bad for it, but I have been using it since the end of last year. Till that time we setup simple virtual services. Overall: We replaced the SLB servers of Cisco hardware with LoadMaster. This product is better because check not only layer-4, but layer-7. Thank you very much for your review, Arpad - we're delighted to see that you were able to set it up easily and that it supports your more complex needs too. And thank you for the shout-out to our support team - they'll be thrilled too! Pros: fairly inexpensive tool and works with many different purposes and vendors. easy to maintain and runs like it should dependably. Cons: I don't think I have any real complaints since I didn't implement. it seems to work just fine and no issues. Pros: Simplified administration interface, upgrade process and management packs for different types of services are a great plus. Cons: Some versions prone to bugs but generally has improved over time. Reporting and statistics are very basic. Thank you Stephen, we really apprecaite all of the reviews on LoadMaster, and thank you too for the shout out for our support team! Overall: We used it with Exchange Server since Exchange Server 2007. 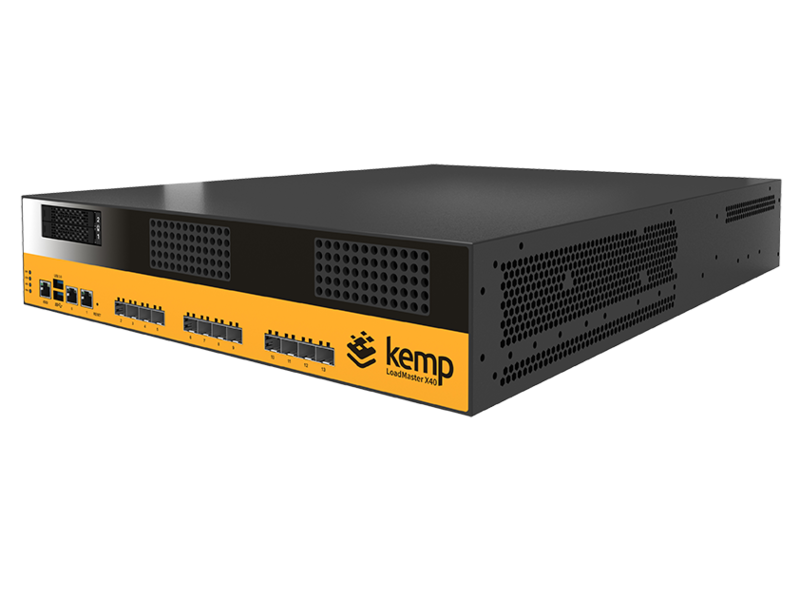 Pros: Kemp LoadMaster is an economical approach for load balancers. Cons: There aren't as many features available as the more expensive alternatives. Overall: Provides a load balancing solution at an economical cost. Had the VLM200 up and running production work in about 30 minutes. Pros: Very easy to use. Configuration options follow a logical flow. Monitoring options provide useful information. Overall: Easy to use and affordable loadbalancer with ongoing development and support. Pros: Excellent load balancers, from the first setup to the amazing support, the units just work. Cons: Not always the easiest to find some settings. Easy to use and great customer support. Pros: Straightforward product that is easy to configure and works really well. Support is easy to connect with and knows what they are doing. Cons: Some instructions can be a little vague and knowing how to setup the software for a specific scenario can be a little intimidating. Overall: Makes my software run better! Pros: - nice features. Kemp supports a lot of protocols. Pros: Kemp Loadmasters are easy to deploy and extremely cost effective, when compared to the bigger players. Purchased the virtual appliances and had them up and running in the environment in a very short amount of time. Cons: Lacks some of the features of the bigger players, but you expect that for the price. Thank you very much for the review, we really appreciate your feedback and we are pleased that you found it easy to deploy. 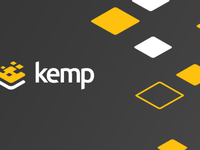 Kemp has been a great asset to our company and has simplified the load balancing we do. Pros: The best part of the software is that it is intuitive and easy to use. I really enjoy the interface. Cons: There's really not much I dislike about the product. I have found that all aspects have been very useful. Pros: Ease of use and customer support have been excellent when needed. Cons: Interface is slightly cumbersome when it refreshes itself after selecting a drop down option in a field, would be better to wait until you hit save/confirm. Overall: We needed a solution to provide resiliency to web servers and this has 100% achieved it's aim. We are now finding additional uses for the product which is great. Pros: Once setup it simply just works, support is excellent. Cons: Sometimes its hard to trace through errors, to find out why something is not working. Overall: We used the LoadMaster to replace our Microsoft TMG. I'm a senior systems engineer with years of experience building and managing servers and networks. Pros: Its dead bang easy to setup and use. We purchased a virtual appliance and had it up and managing workloads within a few minutes. Cons: The rules engine, while complex and powerful, can be a bit puzzling to get started on. Fortunately their support team is standing by to help sort through the complexity. Overall: We were able to quickly scale out applications and alleviate performance bottlenecks. Pros: Easy to use and intuitive interface. Expansive feature set and the ability to monitor and send notifications when there are any problems. Cons: My only real complaint about this software is the lack of the apply button for many options. When changing a Virtual service if a mistake is made or something is changed inadvertently it is not easy to cancel or roll back. Pros: easy software update process with redundant units - software is feature rich - locating and downloading software is a breeze. Cons: I have nothing bad to say - our LM-2200s and 2400s have been rock solid since day 1. We front our on premise Exchange environment with these units for years and have not had a single issue. Security is a first class citizen. Cons: you need some time to understand some Regex rules and get them working for advanced functionnalities. Overall: Mostly Exchange publication to replace Microsoft Forefront TMG and ISA Server, and NLB replacement. Pros: Priced significantly below the competition, there is very little that can't be done with the product. We have a relatively small IT staff for the complexity of our environment, and simple is better. With the help of their support staff (all amazing), we were able to setup and configure and very powerful HA/DR solution. Cons: I really only have one complaint/issue with the product. Their terminology is confusing. However, once you get the Rosetta Stone to translate what you want to setup into what their name for it is, you are golden. Overall: We have a very complex environment for our IT staff. Nearly 450 Servers in 4 data centers with 4 domains, supported by an IT Staff of 10. We needed a relatively some and inexpensive solution to tie all of the HA/DR requirements together. They offered a cost effective and simple solution. Pros: Ease of use via API. We use the API to manage the load master in order to deploy with no customer interruptions during the day. Cons: Updating automatically changes ciphers in groups and can be difficult to troubleshoot if you had a VS using a set of certain ciphers. Pros: The simplicity of using the interface for web publishing. Cons: There is no "fast way" to check on wich subVS a content rule is being used. There is no way to track content matching rules of system logs. Pros: One of the best loadmaster in the world. Easy setup and design is pretty awesome. Price was excellent. Pros: Ease of use, flexible configurations, pre-configured templates. Functionality, caters email load balancing. Cons: Lots of patching which needs to be applied regularly. Pros: Kemp's pricing makes this product much more affordable than other options on the markete. Overall: This is an affordable alternative to F5 and some of the more expensive load balancers on the market. Loadmaster is a great product. Definitely a pleasure to work with. Very low maintenance. Pros: Cost. Best bang for your buck. Definitely easy to use. Hardware agnostic. Support is very knowledgeable and helpful. Cons: Lack of features. Product is too locked down. Not a fan of the switch requirements for high availability. Kemp does a good job load balancing our applications. Pros: The software is easy to use and easy to understand. It was simple to setup for our applications. Cons: There really wasn't anything that we did not like about the software. It was easy to use and simple to operate. easy to manage and use, and the price is right. Pros: Bought 2 load master appliances. setup instruction and template documentation smooth my initial setup. I am able to setup the High Available within 1 hr. Also, there are many virutal service templates available through their website, such as ADFS and Exchange services. Cons: email alerting is not that great. I tried to configure to alert when virtual service when down. but it keep getting alot of emails with up and down. still working on to tweak the alerts. not much options there. Overall: it is very easy to use. and tech support are response quick and helpful. Overall: easy to use for an newby, no problems with updates or change from hardware to VM, fast boot. Thank you very much for taking time to review us and we appreciate the feedback, which we'll bring to our product teams. David. Pros: Creating/implementing services and templates is straightforward and takes very little time/effort to complete. Cons: The Web Application Filter rules are not easily implemented or documented very well. This is a weakness for this product. Stable LB with wonderful support. Pros: Software is easy to navigate and is pretty intuitive. Support was great when I needed it. They answered promptly and were very knowledgeable about the product and how to solve my problem which was a little complex. Cons: I haven't found anything I really disliked. The product does what it says and does it well and I have no complaints. Overall: Our main application servers are balanced well with this software. Cons: No easy way to read the logfiles. Files needs to be downloaded and extracted. Pros: We have LoadMaster VLM-2000 in use. It is easy to administrate and reliable. Cons: We are very happy with LoadMaster VLM-2000.